On 22 May we celebrated the International Day for Biological Diversity with a focus on “Biological Diversity and Sustainable Tourism” as this year’s theme. The United Nations World Tourism Organization (UNWTO) defines tourism more generally, in terms which go “beyond the common perception of tourism as being limited to holiday activity only”, as people “traveling to and staying in places outside their usual environment for not more than one consecutive year for leisure, business and other purposes”. The UNWTO recently introduced silk route tourism and spice route tourism into the list. 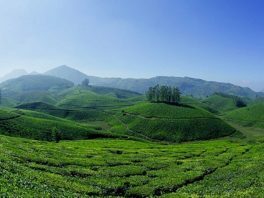 The Kerala state in India was the first one to introduce “Spice Route Tourism” by linking 31 countries in Asia, Africa and Europe. In the year 2013, Government of Kerala convinced UNWTO to promote “Spice Route Tourism” and in 2014 by tying-up with UNESCO, Kerala initiated “Spice Route Tourism”. Spice tourism is already fetching economic benefits in the countries like Sri Lanka, China and others.